'Japanese business etiquette' is one of the most searched for Japan business related keywords according to the Google and Overture search-engines and so I am including this Japanese business etiquette section as a short introduction to its key aspects. Japanese business etiquette is the subject of entire books - mostly written by people who have not been to Japan since the 1970s and want us to believe that Japanese business etiquette dictates that even the most trivial business meeting here has levels of expected etiquette on a par with the tea ceremony! 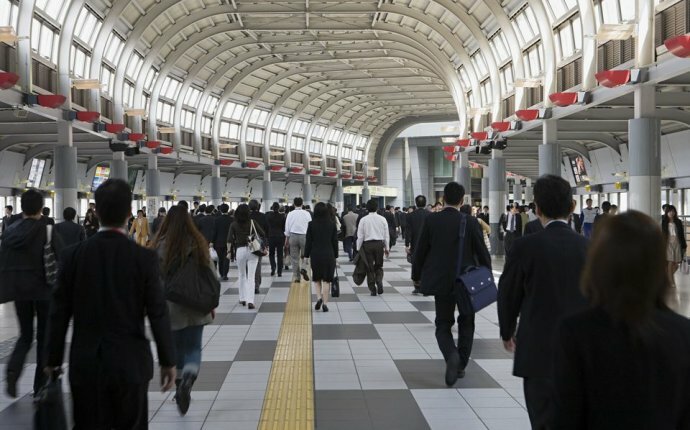 In practice, Japanese business etiquette is not so different - politeness, sensitivity and good manners are the pillars of Japanese business etiquette just as they are of business etiquette in Europe or the US. The main difference is that Japanese business etiquette is more formal - especially so at a first meeting when the exchanging of the infamous Japanese business card is almost ritualistic. There are certain aspects of Japanese business etiquette (for example business attire) that are very traditional compared to business in the US and Europe and certain situations (most especially when doing business with a company where an executive or senior manager has recently died) where you must be very sensitive. For foreign company executives though, Japanese business etiquette in 2004 is not too different from that of Germany, France or the UK and while very different on the surface from US business etiquette, it is not so different once you get to know the people you are dealing with. Fortunately you will not be measured as strictly as local businesspeople and minor transgressions will be tolerated and may even help break the ice. The key issues to be aware of are almost all related to initial meetings - especially with senior executives of large companies. As time passes and your relationship with a customer strengthens, the formalities will lessen- although never to the same extent as in the US. In Japanese business etiquette, Japanese business cards are a 'must have'. Carry at least 100 for a 1 week business trip to Japan and expect to give out 3 - 4 Japanese business cards at a small meeting and as many as 10 - 12 at a larger meeting. Have double-sided Japanese business cards printed with the Japanese language side being custom designed using the same elements as the English side. If your original business card is not English (i.e. German, French, Spanish etc.) then use double-sided English and Japanese business cards when doing business in Japan. Never flick, throw, slide, lob or otherwise push your Japanese business card across the table - always present your Japanese business card holding it with both hands, Japanese-language side facing forward (having your company logo at the top of the Japanese-language side will help you orientate it correctly! ), to the most senior member of the Japanese party first, bowing slightly as you do so and then on down the corporate ladder. Never write notes on a Japanese business card - never! Carry a small note book to write down notes or enter them into your PDA. Never fidget or play with a Japanese business card. Remember to deliberately and carefully pick up all of the Japanese business cards you receive and put them into your case at the end of the meeting. Forgetting his business card is a slap in the face to a salaryman even in 2004 - it says you did not consider him to be relevant. On this point - remember that many people here will be with their company for life, the most junior employee you meet with today may control a $50m budget in 10 years time - treat him with the same respect today that you would then. A young man who served me with green tea at Toyota in 1991 now controls a $100m budget and still remembers that I treated him politely at that 1991 meeting. You probably get the idea that Japanese business cards are important! Men - Japanese business etiquette may be getting less formal but business attire does not seem to be changing. Wear dark suits (navy or black) with white shirt and subdued tie from October - April and gray suit from May - September. Japanese summers are hot and humid and most Japanese men wear half-sleeve shirts during the summer months. Do not wear black suit, white shirt and black tie because that is funeral attire. Japanese men typically have well groomed short hairstyles but if you are the President of a software, Internet, design or fashion company then a pony-tail may be acceptable. Japanese companies do not allow male employees to wear beards nor to shave their heads. Of course your attire is not complete without your Japanese business cards! Women - although not so much an aspect of Japanese business etiquette as of culture, many Japanese men do not relate easily to women with authority in business and that can present problems for women executives from the US and Europe. To avoid being treated as an 'office-lady', I recommend that you wear shorter (or tied back) hair, trouser suits or longer skirt suits with seasonal colors as for men. Japanese women are very fashion conscious and many wear Gucci, Chanel, Prada etc. outfits to and from work (although most companies require their female staff to wear company uniform while working). Most Japanese companies do not allow female employees to wear jewelry, very short skirts or high-heeled shoes. Women too are not properly attired without Japanese business cards! Web development software from Incode Group brings results, power and flexibility. @TheIvanhobe Also, it's pretty interesting to see a Japanese person fanboy over Western pop culture and homage them.